Studying these domains will help you understand what types of domains China’s biggest internet companies prefer. Researching domains used by top Chinese internet companies. Spectacular domain sales to China have been reported in recent years, and many of them were bought by internet companies, such as 360.com for $17m, JD.com for $5m, and Mi.com for $3.6m. This should not surprise domain investors because internet companies are the new leaders in this internet age. With China poised to become the largest domain market supported by its 800 million internet population, studying domains used by the best internet companies in China will help investors understand what domains to sell to this market. The opportunity came recently when the “2018 Top 100 Chinese Internet Companies Report (2018年中国互联网企业100强分析报告)” was jointly published by the Internet Society of China and MIIT in July. Based on the report and with help from Baidu search, I have created the following list. First of all, .com is king in China. 86% of the companies use .com and only 13% use .cn. The only non-mainstream extension found is .tv. Also, short domains are preferred as 99% of the domains are 10 characters or less excluding the extension (the median is only 6 characters). So, if you want to sell to corporate users in China, focus on short .com domains. Digging deeper, 78% of Pinyin domains are 2-pin (two Pinyin words such as Bai Du). This implies that if you want to invest in Pinyin domains, focus on 2-pin names. For acronym and numeric domain investors, note that no company on this list uses a domain longer than 4L or 4N. This means you have less chance to sell to corporate China if your have 5L/5N or longer domains. Even though this list contains the best internet companies in China, there are still many of them not following the norm held by global brands of owning brand-matching .com domains. There are issues in brand matching (e.g. Ga-me.com), use of subdomain (e.g. Drpeng.com.cn), and misspelling (e.g. Mihayo.com). This offers great selling opportunities of the right domains. In summary, if you want to sell to corporate users in China, focus on short .com domains of less than 10 characters excluding the extension. Both Pinyin and English names are fine. For acronym and numeric domains, try not to exceed 4L or 4N. Is .Com still king in China? Kassey Lee analyzes new data about domain name and website usage in China. Is .com still king in China? How important is .cn? Is there any other extension worth watching in China? These are questions many domain investors may have in their minds. To answer these questions, I turn to the annual publication “China Statistical Report on Internet Development,” the latest of which was released last month. The big picture first. China now has a whopping 772 million internet users but the figure represents only 56% of the entire Chinese population, indicating a lot of room for further growth. More internet users will drive more demand for products and services, which in turn will require more websites. 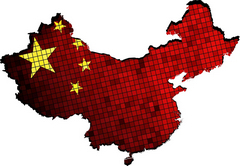 Kassey Lee reviews top level domain usage by top new internet companies in China. Several years ago some domain experts predicted that the next generation companies would prefer new extensions because of better names at lower prices than .com. Is this trend happening now? I want to know, so do people investing in the Chinese domain market. Long established magazine CI Week has recently published the “2017 Top 300 New Internet Companies” (2017新互联网公司TOP300) list, which provides an excellent source to study this trend. Kassey Lee examines data from a recent CNNIC report. If you invest in the Chinese domain market, you need to know CNNIC (China Internet Network Information Center) because it publishes a national survey report twice a year on China’s internet landscape. The latest report — the 40th — was published in July. You can download it in Chinese here. According to the report, China has 751 million internet users. This represents only 54% of the Chinese population so there is a lot of room for growth. Compare this number with the 323 million population of the entire USA and you can appreciate the sheer size and potential of the Chinese market. This number, coupled with the continued increase in internet-related products and services, means there will be an ever expanding internet economy, which in turn will create more companies and therefore more demand for domain names. There are now 5 million websites, growing mostly at double digits over the last 6 years. This number is dwarfed by the estimated 77 million companies in China. 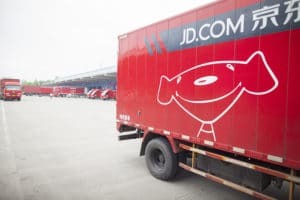 This large gap may be due to companies not being online or running their business from ecommerce sites such as JD.com, etc. Eventually, these companies will want to move to their own address (domain name) to gain complete control of their business. Therefore, high demand for domain names can be expected to continue. Operators must submit RSEP for approval. Are Chinese gateways used to comply with real name verification rules in China a registry service? To date, it seems like only the operators of .XYZ think so. They submitted a so-called RSEP to ICANN to get approval for their gateway before they introduced one. Club Domains, LLC believes that the service is not a Registry Service because it does not meet the definition of Registry Service under the Registry Agreement, signed between .Club Domains, LLC and ICANN. This is because the service is fundamentally implemented and operated by the Providers – there have been no changes to the Registry Services as defined in the Registry Agreement. It is our position that the use of the Provider to facilitate the Registry Operator’s compliance with local laws does not constitute an additional Registry Service requiring an RSEP However, as an accommodation to ICANN, and in response to ICANN’s request, .Club Domains, LLC is filing this RSEP. It doesn’t appear that any registries have halted registrations in China while waiting for approval. The service a registry wants to offer and how it implements the service will determine what, if any, contractual provisions are triggered. ICANN’s role in evaluating and approving proposed Registry Services and proposed subcontractors providing the service is largely technical, with its evaluation solely focused on ensuring no significant security, stability or competition concerns would be created by approving the service and provider and ensuring the service is consistent with other provisions of the contract between the registry and ICANN. If the ICANN organization is made aware that a registry may be offering a Registry Service ICANN has not been notified about, the organization will investigate to determine whether the implementation of the service requires notification under the registry’s contract.